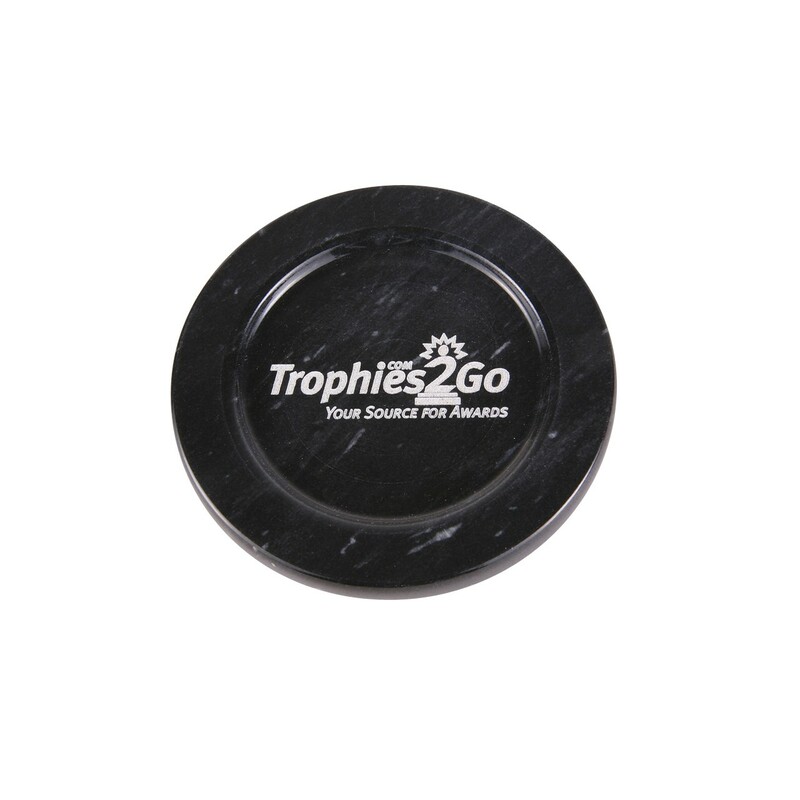 Personalize the Engraved Black Marble Coaster for your corporate events or the holidays. 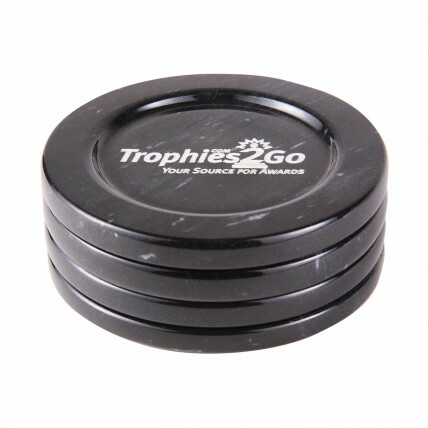 Made of black marble, it may be used to hold your paper clips, cup, or as a paperweight. Price includes one 4" coaster with white engraving.